When I tried to search for this place in Kuching, it really caught me off guard. I didn't realize that this place is very hidden. To find such a place in Kuching was like finding a hidden treasure spot. Walking along the slope, the place was skillfully planted with garden grass and beautiful outdoor scenery. They have a very cute and romantic outdoor settings with lightbulbs hanging across several wooden post, which also serves as outdoor seating area. A closer view of The Granary-Kitchen & Bar! The signage is very bright and simple. As the name itself mentioned, granary literally means a storehouse or room in a barn for threshed grain or animal feed. So hidden yet so exposed. And according to the co-owner, Ms Joanne Chin, she exclaimed that this is the first establishment of granary look-alike restaurant in Kuching. This building itself is indeed a granary building which was abandoned for many years. The whole place took about 3,000 sq ft. Ms Joanne Chin has an unbeatable passion in F&B industry and with her many years of experience in F&B line, she intended to create a fresh and new experience to patrons in Kuching with top-notch services. Once you entered The Granary, you will spot an impressive bar on your left which serves classic cocktails, beers, and fine liquors. Special boards with chalk written drawings can be spotted hanging on each wooden pillar. All the pillars including the building space is being kept original. It's a warm hearten environment with cool yellow lightings, creating a relax and cozy vibes. As you can see, there's a staircase going up to their mezzanine floor, which in future will serve as a function rooms. You can have your birthday party, Christmas party or any gathering held inside this function room. It's time to be creative Kuchingnites! It can be your wedding reception party as well, at a granary! All the decorations are wooden and rustic theme. The furniture are all custom made with reclaimed woods, up-cycled tongs and materials. Once seated you will be served with a glass of lemon flavored plain water while deciding on your order. Currently on the menu is just cakes and drinks with interesting options like the Guinness Chocolate cakes. (Psst! Try it if you haven't!) The kitchen will be operating soon at the end of November. So stay tuned! Thanks to Ms Joanne Chin for the Real Brownie sample, which tasted superb and delicious! As a part of the granary-barn-like feature, it includes the high ceiling and a grand size kind of a fan! Tinted windows panel and brick walls are the original parts of the existing building, so classic. The view from Life Cafe, Carpenter Street. Yep, this place was officially launched on the 19th September 2015 but they are now currently opened for cakes and drinks only. The kitchen will be ready by the end of November! So if you on a carnivorous quest, don't forget to drop by this month end as they serve western dining food with lotsa meat selection! So, stay tuned for more updates. This is truly a treasure spot dear. It is a beautiful place where I really want to organize party once in my life. Well I am looking for corporate event planners who can hire such a nice place for my party and also give me best suggestions for menu also. Any help that you can do for me? Hi Lewis, sorry for the late reply. 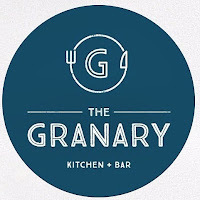 You can contact Ms Joanne via email at joanne@thegranary.my for any enquiries. 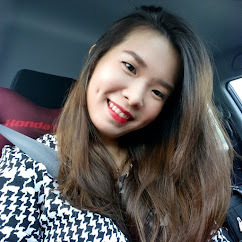 For local corporate event planners, perhaps you can look for Ms Adeline from Events Horizon.